← My MIL got tickets to the Olympics! 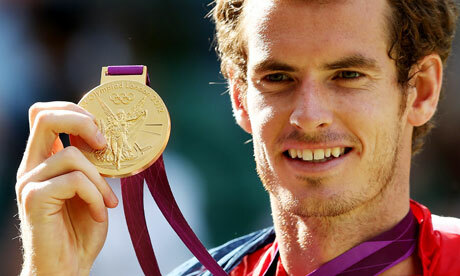 Andy Murray is the first British man to win the Olympic gold in singles tennis since 1908. Did you watch the Olympics this weekend? Andy Murray’s win? Jessica Ennis’s gold? Amazing, right? Or was it “My Country Tis of Thee”? Yes, I did get a kick out of the comments on Twitter from Americans who commented on how surprised they were that “God Save the Queen” and “My Country Tis of Thee” share the same tune or those who think that the Brits stole our song. Check out some of the comments. Blame it on Samuel F. Smith, who wrote new lyrics to “God Save the Queen” in 1832 and made it a hit. Why couldn’t he have come up with an original tune? There were lots of songs that hadn’t been written yet in 1832 – “Call Me Maybe” … “Party in the USA” … “Bohemian Rhapsody.” Couldn’t he have put his lyrics to one of those? More on the origins. Posted on 6, August 2012, in sports and tagged Andy Murray, God Save the Queen, Jessica Ennis, London Olympics, My Country Tis of Thee. Bookmark the permalink. 1 Comment. Well, if that is what they want to think that is OK because we Brits know when God Save The Queen came first! It was actually God Save The King in 1744!